Football is finally here! Hallelujah! We are kicking off the season with these awesome Beer Brined Chicken Wings. We've made several variations of wings, but this one might be the best of them all. I baked these wings because I don't like to fry food at home. They tasted great. We both ate way too many of these. I used a homemade wing sauce (found here), but I am a big fan of Frank's wing sauce too. The brine really made a difference. It made the wings super tender and juicy. Give these a try for your football watching parties tomorrow. I promise they will be a hit - no matter who you root for! Whisk together beer, brown sugar and salt. Pour over chicken wings and refrigerate 30 minutes up to overnight. Preheat oven to 400°F. Line a baking sheet with foil and set rack inside. Place chicken pieces on rack and discard marinade. Bake for 30 minutes. Flip wings and cook 15-20 minutes longer, until chicken is crispy. 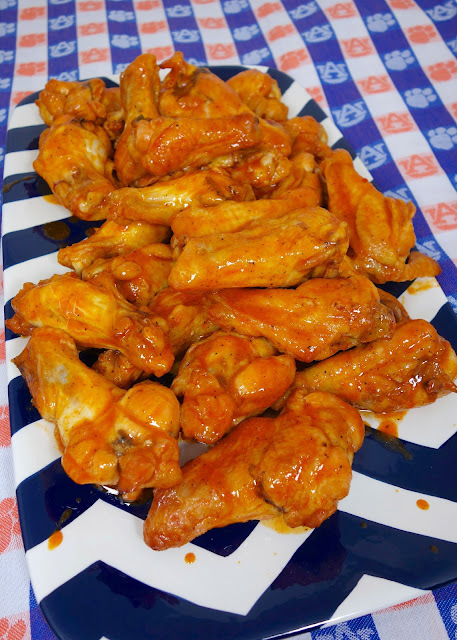 Transfer wings to large bowl, add sauce, toss to thoroughly coat, and serve immediately with blue cheese or ranch dressing and celery sticks. Any beer works. I used Michelob Ultra b/c that was what was in the fridge. I'll use Abita Amber tomorrow. All I have on hand is Abita Amber so I'm glad to see you'll be trying this soon. I'm sure they'll be delicious! Why not fry food at home? Isn't it better to ONLY fry food at home? After all, French Fries didn't become our nations favorite vegetable until we let corporations take over washing, peeling, cutting, frying, seasoning, and cleaning up. Made these today for football, they came out great! Beth - so glad they were a success! I usually don't brine my wings because it makes prep time a LOT longer. I like crispy skin and for that I air dry my wings in the fridge for a few hours. If I brined them too, it would take longer to dry. That being said, a beer brine does sound good so maybe I'll try this on the grill. Another excellent chicken recipe. We loved this. Pictures on my page. 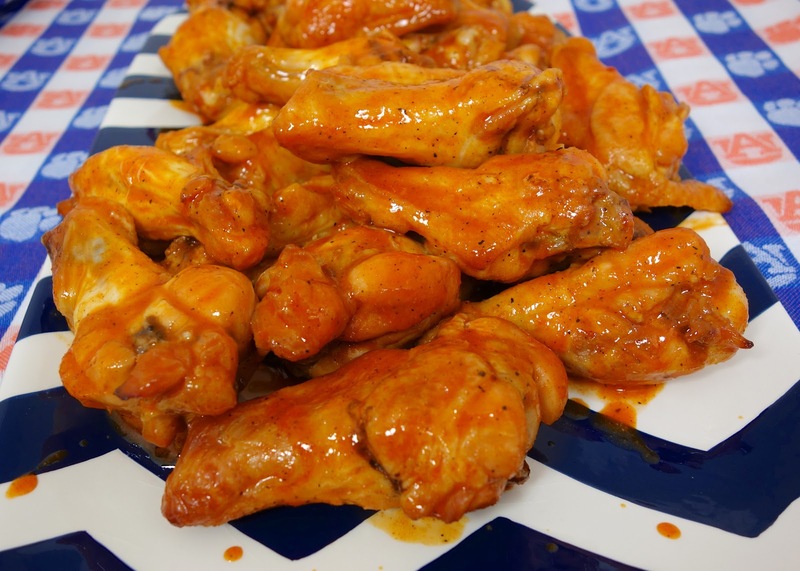 Do you rinse the brine off the wings before baking?